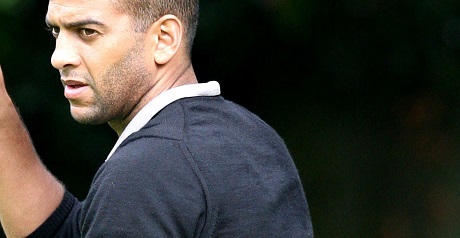 Hayes & Yeading United have appointed former Liverpool defender Phil Babb as their new manager. The 42-year-old, capped 35 times by the Republic of Ireland, will be in the dugout when United make their long-awaited return to west London next season following the club’s two-year hiatus at Woking. Assistant manager Tristan Lewis and reserve-team boss Delroy Preddie will remain in their current positions. Babb said: “I followed closely the fortunes of the club last year and recognise the bags of potential it has and like its forward-thinking approach. Babb holds a Uefa B coaching licence but has no managerial experience. However, he appears to have swayed United’s board with his knowledge of the club and his ambitions. Director of football Tony O’Driscoll, who took charge himself for two months of last season, said: “What we have always aspired to for this football club is to recruit people who are in it for the right reasons and have the club right at their heart. “Phil immediately impressed us all with what he knew about us, our players and the level we are playing at. Babb played for Bradford and Coventry before joining Liverpool in September 1994 for £3.6m, making him Britain’s most expensive defender at that time. He was in Ireland’s 1994 World Cup squad, played in the 1996 FA Cup final against Manchester United and also made two appearances in the Champions League. He later played for Sporting Lisbon, finished his career at Sunderland and then helped set up a golfing magazine with former Liverpool team-mate Jason McAteer.